Elizabeth Harrison was the founder and first president of the Chicago Kindergarten College, the predecessor of National Louis University. Harrison devoted her life to the study and teaching of kindergarten education. After growing up in Iowa, Harrison moved to Chicago in 1879 to study with Alice Putnam, who played a role in bringing the kindergarten into public schools in Chicago. Between 1879 and 1883, Harrison had the opportunity to study with kindergarten pioneers in various cities. First she studied in St. Louis with Susan Blow, founder of one of the first public kindergartens in the United States. In 1883, she went to New York to study with Madam Kraus Boelte, former student of Frau Louise Froebel, the widow of Friedrich Froebel, who was the founder of the kindergarten in Germany. By the fall of 1883, Harrison returned to Chicago to help organize the Chicago Kindergarten Club with Putnam and started offering classes for women to teach children using principles developed by Friedrich Froebel. Harrison’s career as a kindergarten educator took off after meeting Rumah (Mrs. J.N.) Crouse. Harrison’s first classes were attended by only a few students, but Crouse connected Harrison to a broader network of students. 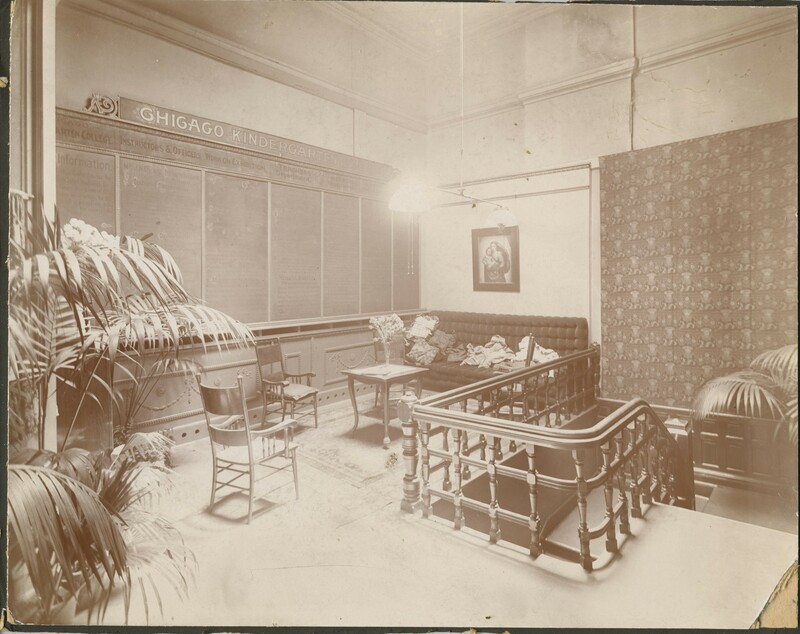 Between 1885 and 1891, Harrison and Crouse worked together to develop and transform Harrison’s kindergarten training classes into the Chicago Kindergarten College. This online exhibit by the Archives and Special Collections of National Louis University show the history of the University during its time as the Chicago Kindergarten College from 1891 to 1912. Contact us for more information.